The Bridge of Peace ceremony is a scheme of the Women’s Federation for World Peace which offered a method to bring reconciliation and healing between women from different backgrounds. It gives an opportunity to start the process of overcoming and forgiving painful events of the past resulting from either conflicts or prejudice. By meeting and reaching out to each other, women pledge to become sisters and ambassadors of peace between their communities. 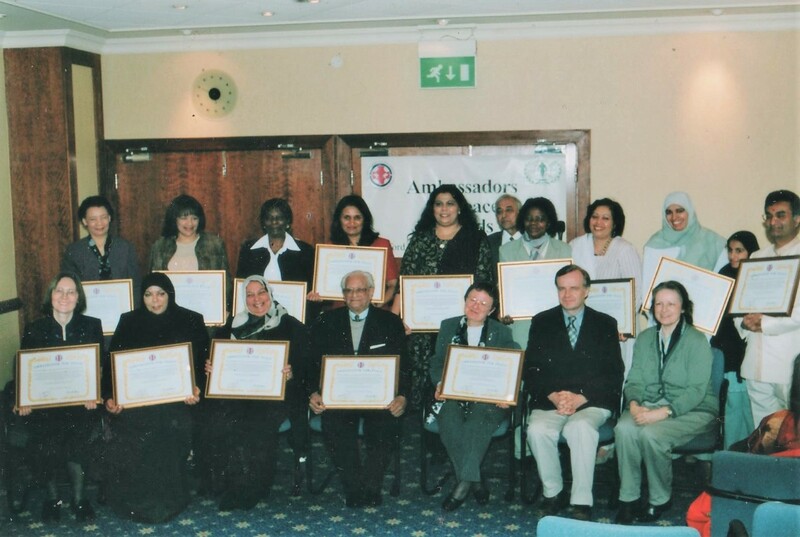 The Watford Bridge of Peace was inaugurated on 2nd March 2003 with a sisterhood ceremony between Christian and Muslim women. Other Bridge of Peace ceremonies followed over the years and welcomed women from various backgrounds. This is the chronology of some of the major Sisterhood ceremonies starting with the first one in 2003 until today. 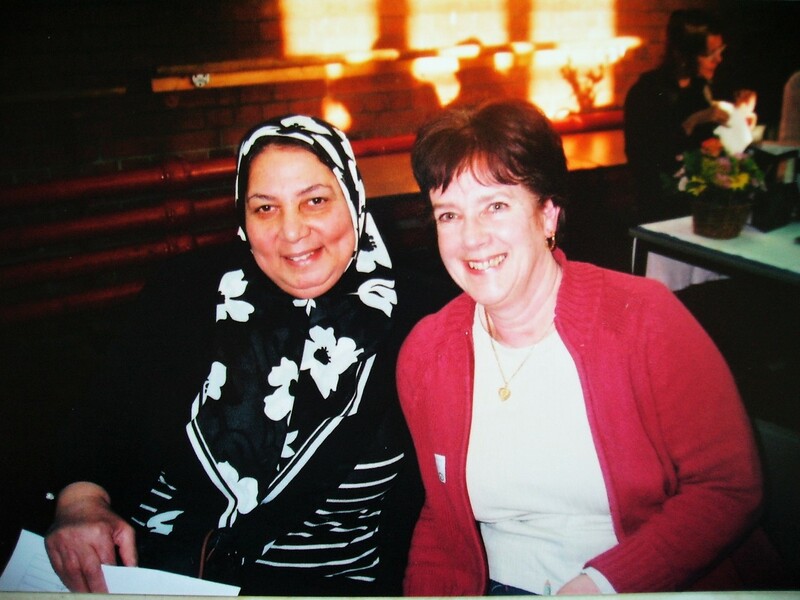 At the break of the Iraqi war, on March the 2nd 2003, the Women's Federation for World Peace (WFWP) with the help of the Watford Interfaith Association hosted a Bridge of Peace Ceremony at the Multi Racial Community Centre in Watford. 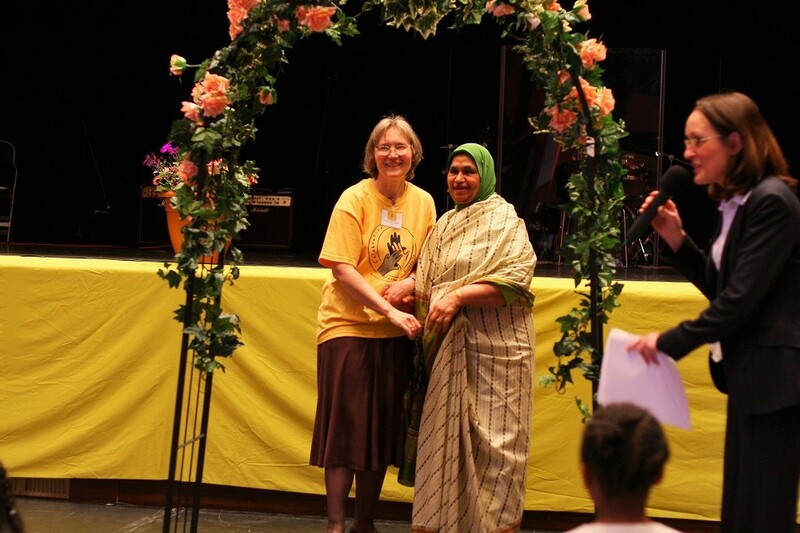 Women from the Christian and Muslim community were invited to participate in a Bridge of Peace Ceremony to express their commitment to peace and reconciliation. On the occasion of the first anniversary of the Watford Bridge of Peace between Christian and Muslim women, ‘Ambassador for Peace awards’ were given to some of the Peace sisters and exemplary members of the community in Watford and elsewhere.The event took place at the Moat Hotel in Watford on March 7th. The room was packed with more than 50 people. 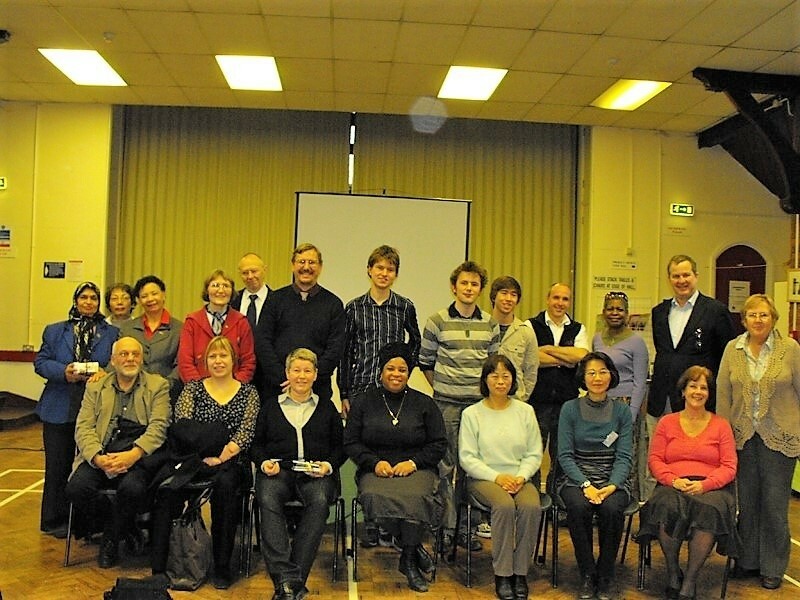 Two years ago the Bushey/Watford WFWP organized a Bridge of Peace ceremony in Watford. 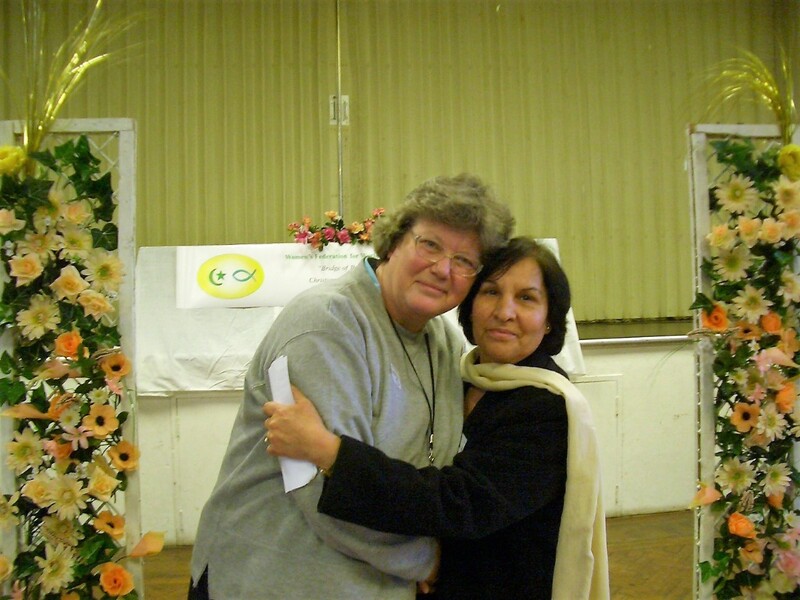 At that time 40 ladies from the Christian and Muslim communities joined in a sisterhood ceremony to express their commitment for peace and reconciliation. 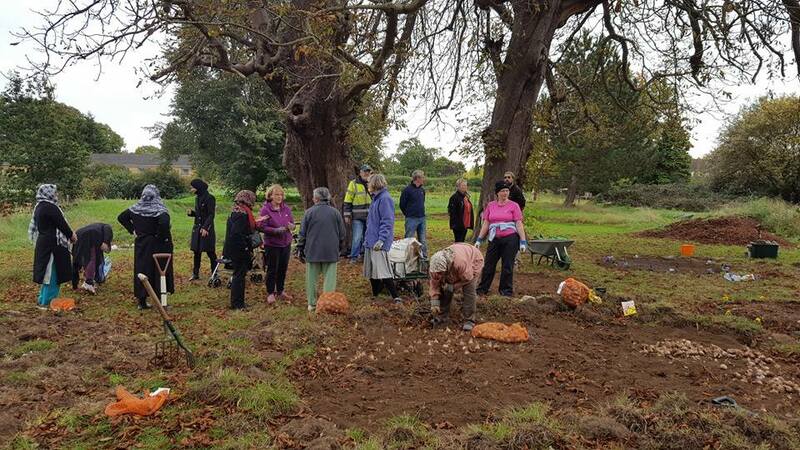 Since then, the ladies have kept contact with each other and participated in diverse community activities. We all learned to appreciate each other’s faith and cultures. Barriers between our communities are breaking down and wonderful friendships are developing. On the occasion of International Day for Peace, the ladies of the Watford Bridge of Peace met with their Muslim sisters from the Watford Muslim Women Organisation at the Multi Cultural Community Centre. United Nations declared Thursday September 21st a day of global ceasefire, a day of peace and non-violence. All the united nations members countries held various events to celebrate the international day for peace: one minute silence was observed at noon, prayer vigils, peace concerts and other events were held all over the world. On the occasion of our fouth anniversary, we decided to open up our Bridge of Peace to the women of the Afro Caribbean community, as this year we are celebrating the 200th anniversary of the abolition of the slave trade. 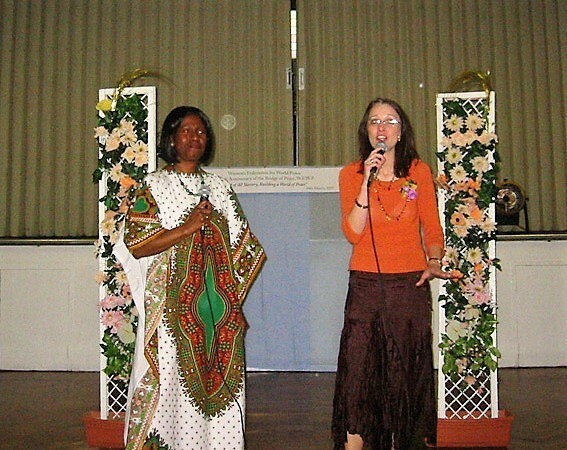 We had a heartwarming and colourful celebration at the Multi Cultural Community Centre on Saturday March 24th. Over 40 women came together from the various communities in Watford. A bridge was built on Saturday 11th August from the people of Watford to those in Hull, the town that was the most severely affected by the recent floods. A “Family fun day” was held between 1 and 6pm at King George’s playing fields and Holywell community centre, Watford - a charity event to raise funds to help people affected by the floods in the UK. 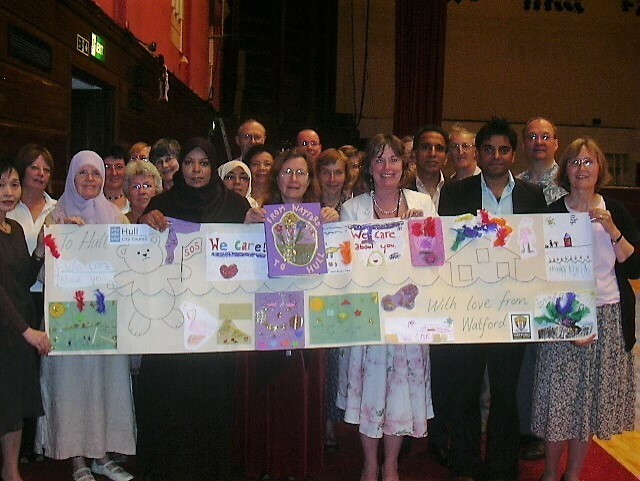 Last year (2007), the Watford Bridge of Peace was selected to receive the Prevent Pathfinder Fund from the Home Office via the Mayor and the Watford Borough Council. The award was given to us to support and develop the Bridge of Peace in its aims to be ambassadors for understanding and tolerance across the community. Four events and some courses were held. Among those projects, one of the most memorable one was our visit to St Albans’ Cathedral. 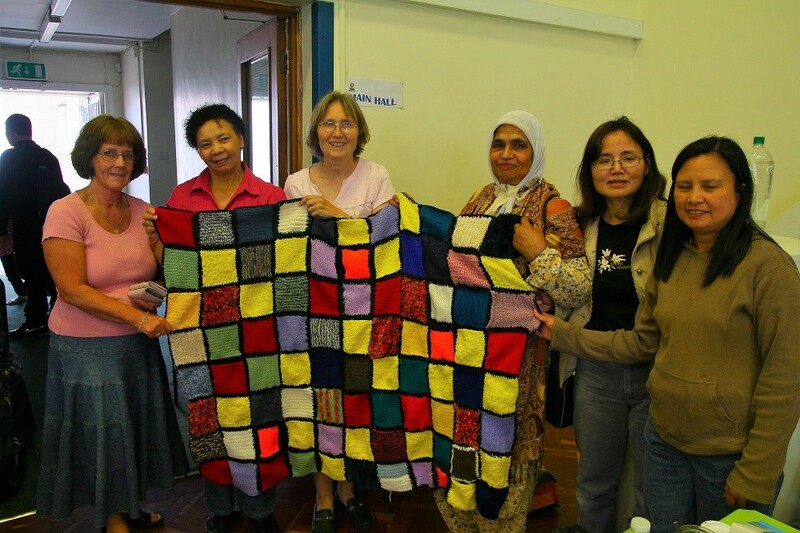 The Peace Blanket project, an initiative from one of our WFWP sister, was adopted at the fifth anniversary of the Bridge of Peace. The ladies were invited to knit or crochet a small square 12cm X 12cm using multi coloured wool. The squares were then assembled into a blanket. The idea was for women from various backgrounds to come together in creating a beautiful blanket investing their heart and love in their work with their thoughts focused on peace in our families, societies and our world. The finished blanket would later on be sold in a charity auction in aid of children’s education in Africa. 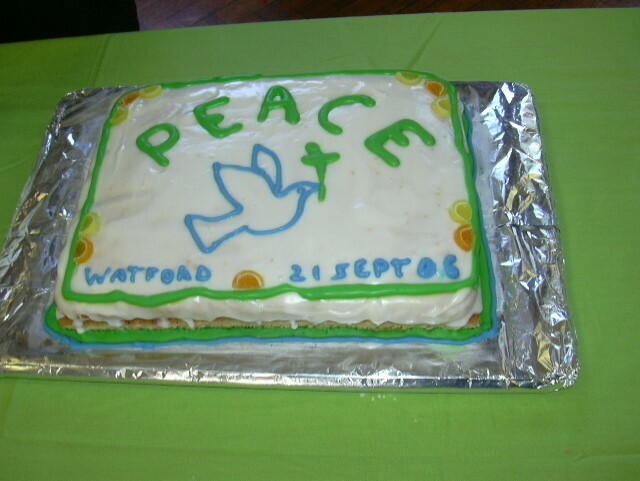 It is already 5 years since the Watford Bridge of Peace was initiated bringing together in a sisterhood ceremony women from the Christian and Muslim community. Last year we celebrated our anniversary by welcoming our sisters from the Afro Caribbean community in an attempt to heal the hurts of the past on the occasion of the commemoration of the abolition of the slave trade. This year for our fifth anniversary, we decided to welcome women from all communities in Watford but mostly women from the Orient. 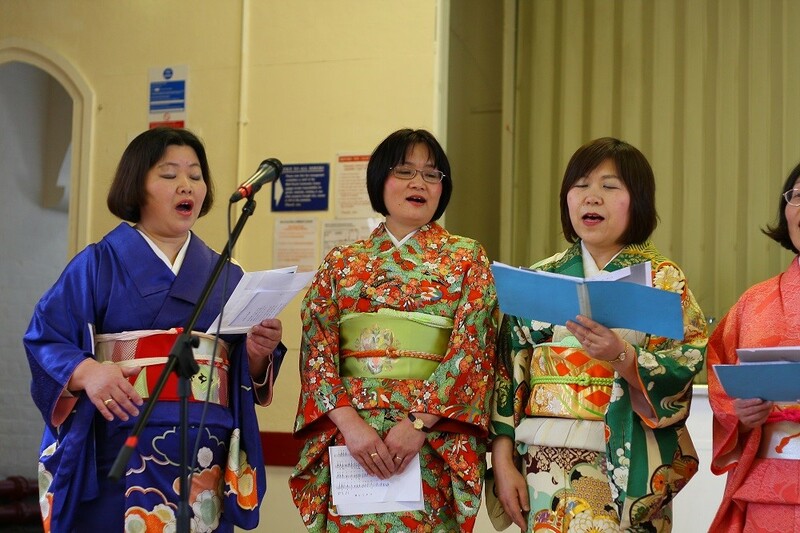 For this reason, we invited the “Sakura Club” a Japanese choir which our sister Chikako is part of. From the start, the grace of the Japanese sisters wearing their colourful kimono created an atmosphere of peace and beauty and their songs moved the hearts of those present. Around 50 ladies came from the various communities, all colours of the human family: white, black, yellow and brown. Inspired by last summer’s successful charity event for the victims of the floods in Hull, the Muslim Awareness Forum (MAF) took the initiative to organise this summer a Family Fun Day to support Great Ormond Street Hospital. Many families in Watford have benefited from this highly regarded children’s hospital. 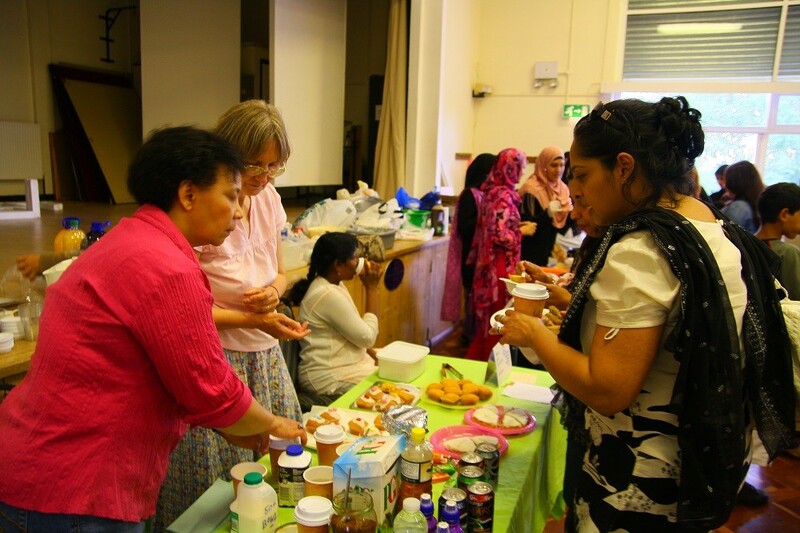 The Muslim women of MAF had helped us last year manning food and beauty treatments stalls. This time, they were the main organizer and were asking for our help. They also wanted us to help them invite all communities in Watford which we did. A delegation of 5 Swedish politicians and civil servants visited Watford on Wednesday 19th November. They came from a highly dense multi ethnic and refugee population area in Gottenburg. The purpose of their visit to London was to find out about models of good practice regarding integration and community cohesion. Through a contact of one of our Peace sister, they heard about the Watford Bridge of Peace and expressed interest in meeting us. 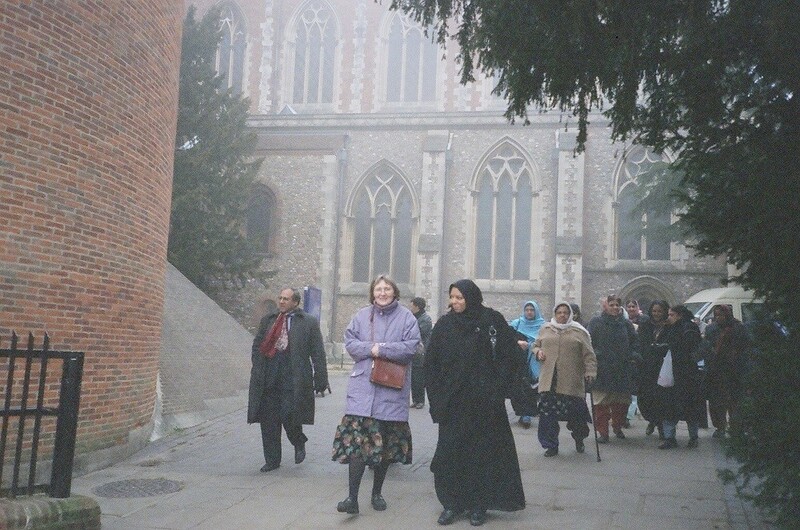 In 2005, the Watford Bridge of Peace together with the Watford Muslim Women’s Organisation, the Town Centre Chaplain and the Watford Interfaith Association initiated the Watford Celebration, a community event which celebrates the rich diversity of Watford. People from all ethnic and faith groups come together in a day of celebration and friendship sharing their heritage through performances, stalls, food, children’s activities, interfaith discussions and just meeting each other. The Watford Bridge of Peace decided to donate its Bridge of Peace arch to the Watford Peace Garden in June 2017. It stands now at the entrance of the Peace Garden in Cassiobury Park as one of the gateway to the labyrinth and the Garden. We felt that it was appropriate for the arch to stand there as a symbol of peace and reconciliation for all people to see.